Even the kitchen will sometimes take inspiration from creations not their own. The spaghetti five had not a hand in the melding of countless worlds, least of all the mortal realm. Yet! The beauty, the grandeur of it all! The verisimilitude! The mortal world has no want for natural beauty, as more life thrives beyond even the kitchens imagining. The kitchen only wishes to pay homage to creations far greater than their own, this script is an account of that want. Hey everyone, err welcome to another Devblog! Doing things a little bit different this time, cause we’re gonna have a science lesson! *air horns* No really. TerraGardens is really a game about balancing and creating self-sustaining ecosystems inside glass jars, like stuffing the great barrier reef into a bottle small enough to fit on your table; Or a piece of the Savannah by your bedside. Really that would be kind of amazing, if it were so simple. Nature is rarely ever simple, and doubly so when you take a step back and look at it from a bigger picture. To cut to the chase, no one is really agreed on what can be called an ecosystem. Most scientists however are agreed on what defines a biome; “the world’s major communities, classified according to the predominant vegetation and characterized by adaptations of organisms to that particular environment” (Cambell). So what plants are most common to a region and how animals (even ones we can’t see) are adapted to live there. Which gives us a solid base to talk about ecosystems. 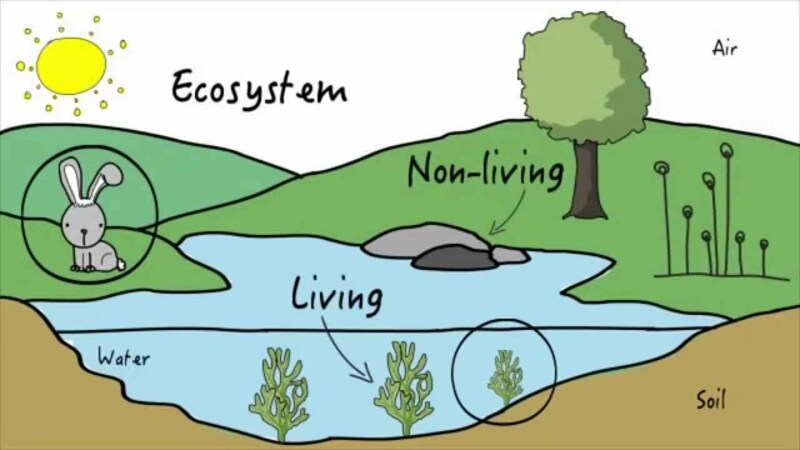 So, What, is an ecosystem? An ecosystem can be defined by many different things, and the boundaries in each definition move to fit what the focus of study is. A simple definition for example is ” a community made up of living organisms and non-living components; air, water and mineral soil”. Although it doesn’t set a boundary it helpfully defines the major parts of any ecosystem. There is luckily for us some consensus on what the minimum size of an ecosystem can be. Ecologist Shulze say that a rotting log is too small a system to call an ecosystem, as well as a single rock or puddle of water. Sorry, but you can’t call your dirty plates in the sink an ecosystem and campaign for its protection. There are a few reasons why a rotting log isn’t an ecosystem, but it largely has to do with how resources flow in and out of the system. Which is a problem because you can’t really just draw a line around a 1 square meter box of forest and say that its a closed system. But that doesn’t really matter in the context of putting dirt and grass into a bottle. The system is closed by nature of being in a glass jar, which means that unless everything the organisms inside need to survive are in there, they won’t. Which sort of makes crafting and balancing little systems rather simplified, until you start stuffing entire forests into a bottle. But I’ve said too much already, class is out!